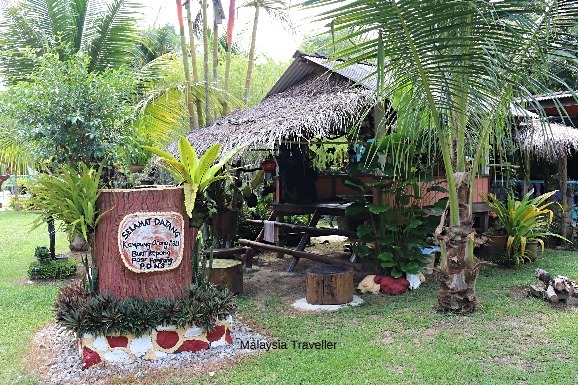 Kampung Orang Asli Bukit Kepong is recognised as one of the most beautiful villages in Malaysia. It is a small village of just 150 inhabitants and 44 homes. 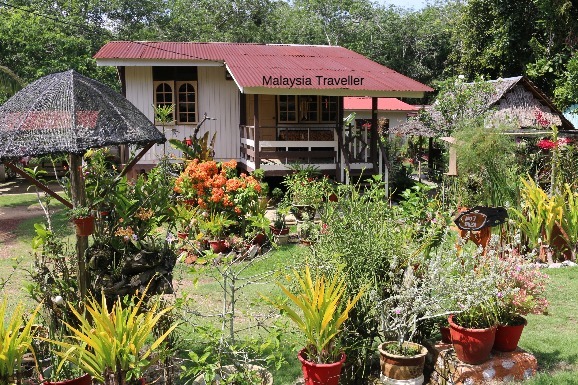 The population are Temuan people, classified as Orang Asli. Some are mixed race with Chinese. I was told that there are a few Muslims here but mostly they follow their own animistic cultural beliefs. They certainly take pride in their clean and tidy village. 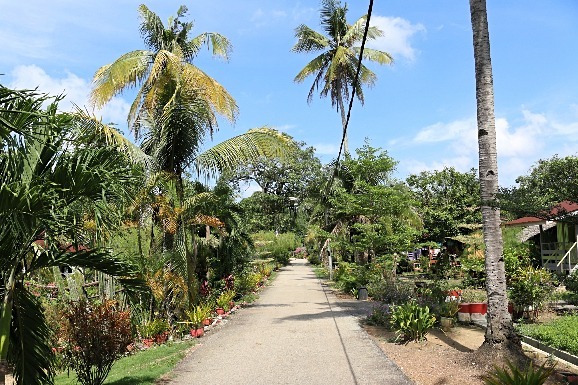 The gardens of their simple wooden homes are beautifully maintained and decorated with orchids, cacti, flowering bushes and coconut trees. The lovingly tended main street with no litter. 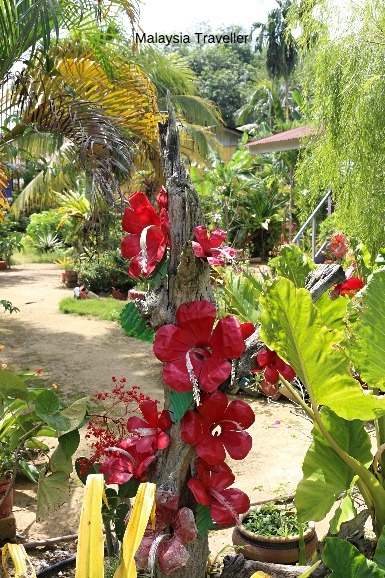 These are creative and artistic people and even discarded plastic bottles have been transformed into attractive artificial flowers. 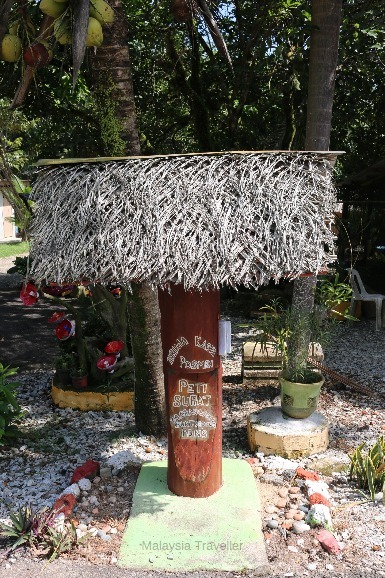 I have seen similar creations at Pantai Cunang near Tanjung Sepat. 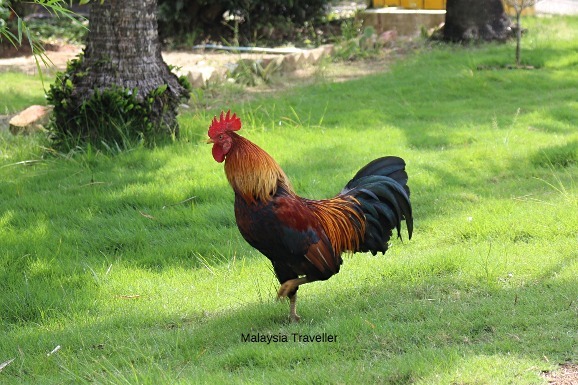 Chickens and roosters wander freely and provide the soundtrack for the peaceful village which is almost free of traffic noise. A rustic mailbox saying Thank You Postman. The village was founded in 1914. 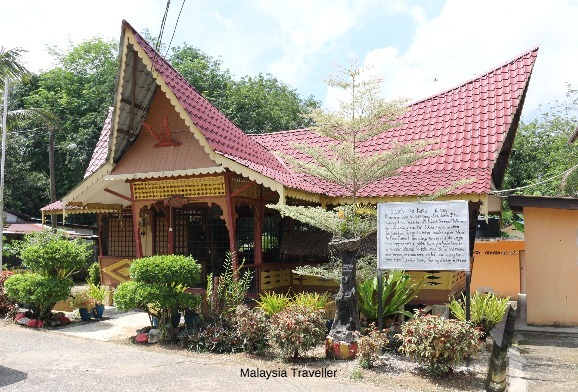 The village was previously known as Kampong Mati. 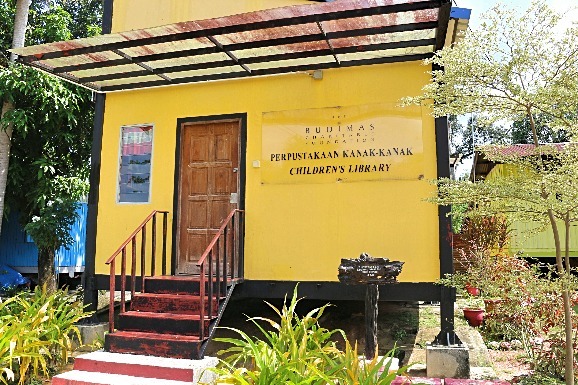 A children’s library donated by Budimas Charitable Foundation. When I visited in May 2018, a friendly lady called Ms. Ezan kindly showed me around and explained what facilities are available for tourists. 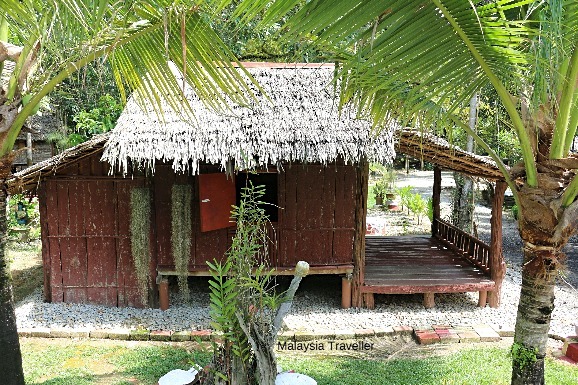 There are 3 wooden huts available for rent at RM 80 per night or RM 60 for day-use. They are quaint but very basic with no furniture inside, no fans or water. Toilets are available in a separate hut. 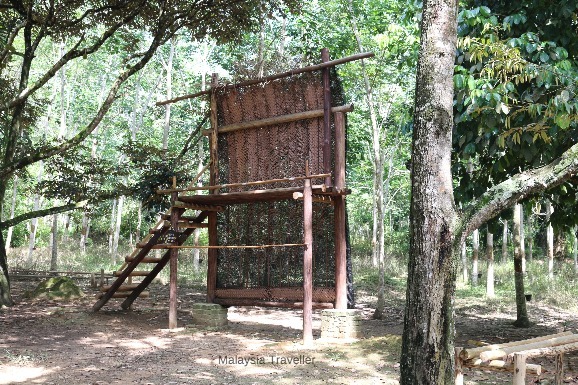 By prior arrangement the villagers will provide entertainment for visitors in the form of a cultural show, blowpipe shooting and demonstration of trapping wild animals. Typical Temuan food and/or BBQs can be arranged. 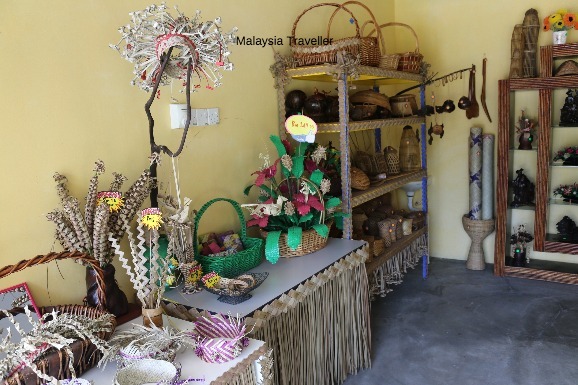 There is a souvenir shop here operated by Uncle Radzali selling traditional Temuan Tribe handicrafts.